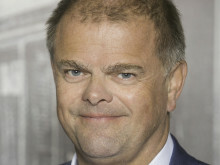 Given the many Brexit challenges, Panalpina has set up a special task force to help customers find individual solutions. It also offers the following services to uphold customers' supply chains: tailored Air Freight solutions provided by the company's Charter Network, customs clearance and consulting, warehousing and other value-added logistics services, supply chain redesign and consulting. 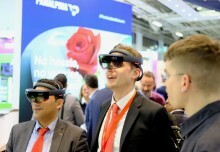 Firmly setting its sights on innovation, customer centricity and digitalization, Panalpina delighted visitors at its Fruit Logistica stand with a holographic experience. The mixed (or hybrid) reality application showcased the journey of fruits and flowers in holographic animations. Find out what it was all about! 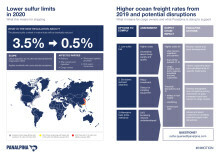 Panalpina is ready to support Ocean Freight customers in dealing with higher costs and potential disruptions as a result of the lower sulfur limits. Already this year, cargo owners will feel the impact of new rules on ship emissions coming into force. From 2020, the sulfur content of bunker fuels will be reduced to 0.5 percent, compared to 3.5 percent now in most parts of the world. Panalpina brings to the market another industry first with the Less than Container Load (LCL) Ocean Freight hub in Cartagena, Colombia, which connects services in Europe, Asia and Latin America with Central America and the Caribbean. Operated entirely by Panalpina, this new development offers customers more than 30 new LCL services, reduced transit times and greater coverage. Fruit Logistica takes place once per year but fresh products, or perishables, are in demand around the globe, all year long. Panalpina is one of only a few global freight forwarders that are active in the perishables business. 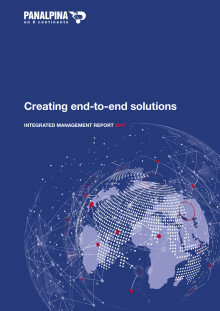 Having a global network means we can truly offer end-to-end solutions. Drop by at our stand and let's start a conversation. You'll find us at stand A04 in hall 7.2C. With the Brazil Wings service Panalpina offers scheduled main deck capacity to South America from the U.S. 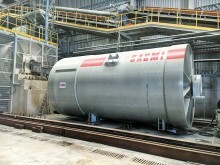 The many benefits of this and many other services will again be presented at Intermodal South America. 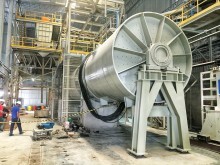 Since Brazil Wings launched in 2015, customers have mostly used it for high-tech products, heavy machines and equipment for agriculture, chemicals as well as aerospace and consumer goods. Panalpina's full-year results media conference for 2015 will take place at the Convention Point in Zurich as usual. The invitation will go out a few weeks before the event. 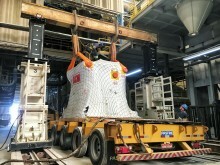 A 176-ton SACMI Imola PH 7500 hydraulic press is unloaded from a multi-axle flatbed trailer in Brazil. 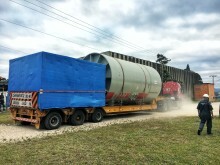 A 32-ton SACMI MTD drum mill is escorted into the plant premises at destination in Tijucas, Santa Catarina, Brazil. New rules on ship emissions that are coming into force on January 1, 2020, are already starting to have an impact on the ocean freight industry. Cargo owners are affected in two major ways: increased cost and potential supply chain disruptions. 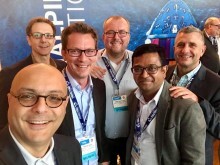 Panalpina is here to support customers in the transition. Download the graphic here. 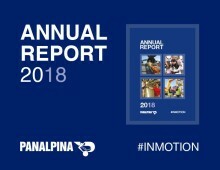 For an overview of the Panalpina Integrated Management Report 2017, see the microsite at http://annualreport.panalpina.com/. Users can build their own reports by choosing individual sections or can download the entire report. 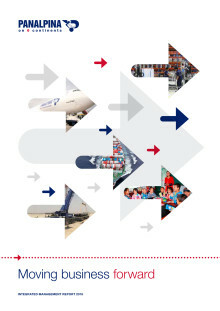 For an overview of the Panalpina Integrated Management Report 2016, see the microsite at http://annualreport.panalpina.com/. 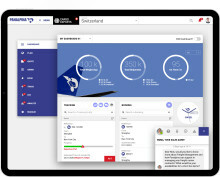 Users can build their own reports by choosing individual sections, or can download the entire report. The report is available in English only, and in keeping with Panalpina’s focus on lowering its environmental impact, printed copies will no longer be distributed. The new international box weighing rules for ocean freight are now in effect, stipulating that shippers of a packed container are responsible for determining and declaring the verified gross mass (VGM) per container prior to defined cut-off times. 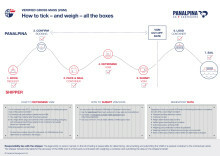 This infographic illustrates the process shippers have to follow, and explains how to determine VGM and submit the data to Panalpina.